Spasticity is a velocity-dependent increase in muscle tone in response to passive movement. Pyramidal tract injury doesn't give rise to spasticity. 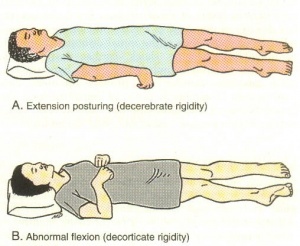 Rather, the main symptoms are weakness and loss of dexterity which is greater in distal than in the proximal muscles. The pyramidal tract is the system which balances muscle tone. Medial reticulospinal tract (MRT) and Vestibulospinal tract (VST) - have a facilitatory effect on extensor tone. All three systems are thought to inhibit flexor reflex afferents responsible for flexor spasm.